Ekiti Governor, Ayodele Fayose, has declared Ekiti state as part of Biafra. Although unconstitutional, the Ekiti state governor and member of the Opposition Peoples Democratic Party, PDP, aligned his state with the Biafran states. 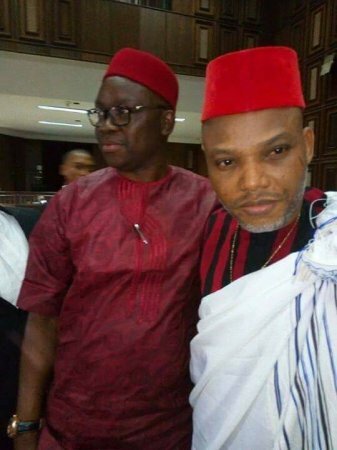 Fayose stated this when he spoke to newsmen, during the bail hearing of the leader of the Indigenous People of Biafra (IPOB), Nnamdi Kanu, at the Federal High Court that sat in Abuja on Tuesday. "Ekiti State is now part of Biafra,” he declared. Kanu has been granted bail on health grounds.